The funding takes the amount the company has so far raised to around Rs 6 crore ($910,000). Its earlier investors include Dr Anirudh Malpani of Mumbai Angels; Manish Gupta, former MD of Rare Enterprises; and Naren Koduvattat, a former vice president of Infosys. Evobi provides a pack of hardware and software tools called Bibox for school children to help them understand engineering concepts by making various prototypes and equipment such as vacuum cleaner and fans themselves. The tool kit was launched in early 2014. The startup has enrolled around 10,000 students across 42 schools in Delhi, Karnataka and Kerala on an annual subscription basis for experiment sessions. It aims to enroll 50,000 students in the next one year and launch a B2C product, said co-founder and director Madhusudan Namboodiri. "In about six months' time we will go for the Series A round," he said. Evobi was founded by Sandeep Senan, who built the patent-awaited Bibox kit with seed funding from the Department of Science and Technology and a grant from the Department of Scientific and Industrial Research. The 2005 engineering graduate from Bangalore's Visvesvaraya Technology University has filed for three patents. He later joined hands with Namboodiri, former head of affiliate sales at ESPN Star Sports. The Bibox kit comes with pre-loaded Android software that can be operated with the help of a smartphone. The company has positioned Bibox as a tool to inspire design thinking and offer practical exposure to science, technology, engineering, arts and mathematics (STEAM). Mentors from Bibox Innovation Lab visit schools that enrolled for the project and guide students on using the tool. "We find great interest among teachers and students as our product helps children apply and internalize their subjects," said Namboodiri. The ed-tech segment covers businesses including e-learning, test preparation, skill training and support services. Investors have pumped in $94 million in 20 early-stage deals in this segment so far this financial year, according to VCCEdge, the data research platform of VCCircle. According to Dave Richards, managing partner at Unitus Seed Fund, ed-tech or gaming could create the next Unicorn â€“ a company valued at $1 billion â€“ from India. "Technology is the only way in which some education solutions can be delivered to the masses. So, entrepreneurs in this space should look for businesses that can scale up very rapidly, serve the masses and generate profits," he said. Test preparation startup Toppr recently raised $2 million and e-learning solutions company Schoolguru secured $3 million. While most ed-tech investments are in online education, there are a few seed-stage investments in companies that are broadly in the category of Evobi. Kids learning solution startup Smartivity received $200,000 from education services group S Chand a fortnight ago. 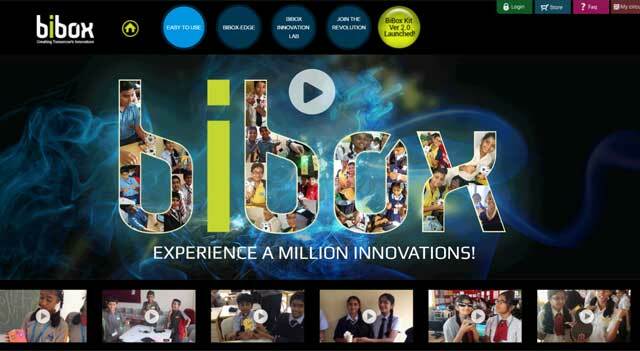 Another ed-tech company, Hyderabad-based Jay Robotix, had raised $250,000 in April. Bibox Evobi Automation Pvt. Ltd.